Wayne's new tape features guest appearances from Birdman, Nicki Minaj, Beyonce, Tyga, Jae Millz and more. 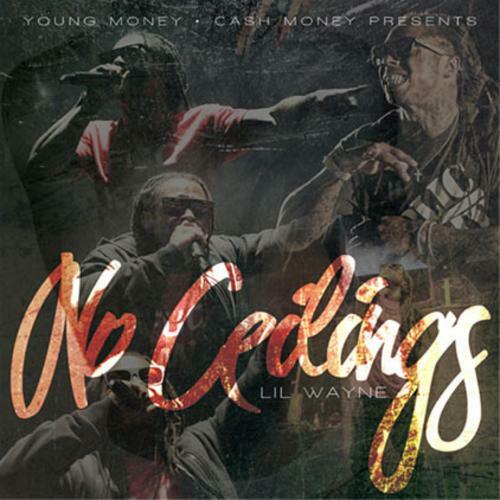 Hear No Ceilings, the latest project from Lil Wayne, released on Sunday, November 1st, 2009. Lil Wayne continues to impress with each new leak, and No Ceilings is no exception. It's strengthens Lil Wayne's already impressive body of work, which has seen positive change over the years. We're most definitely anticipating Lil Wayne's next offering. The following artists are featured on the mixtape: Gudda Gudda, Short Dawg, Tyga, Zipp, Shanell, Lucci Lou, Jae Millz, Birdman. Make sure to visit our mixtape section to stream and/or download Sorry 4 The Wait, a tape released by Lil Wayne on Wednesday, July 13th, 2011. It features such cuts as Swag Surf, Ice Cream, DOA. If you're feeling this, make sure to hit up Lil Wayne's profile page for the latest info, news, songs, and mixtapes. Check out Lil Wayne's Facebook and Twitter.